Plot The film pivots around the local doctor and his family. The doctor's wife (Ruth Gordon) wants to hold on to the pretence of gracious living and ignore the occupiers. The doctor, Martin Stensgard (Walter Huston), would also prefer to stay neutral, but is torn. His brother-in-law, the wealthy owner of the local fish cannery, collaborates with the Nazis. 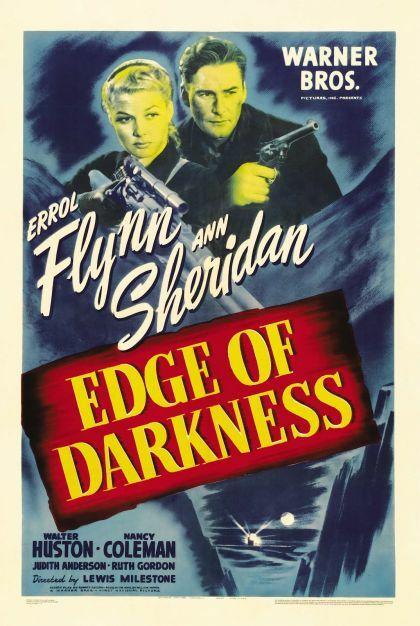 The doctor's daughter, Karen (Ann Sheridan), is involved with the resistance and with its leader Gunnar Brogge (Errol Flynn). The doctor's son, has just returned to town, having been sent down from the university, and is soon influenced by his Nazi-sympathizer uncle. Captain Koenig (Helmut Dantine), the young German commandant of the occupying garrison, whose fanatic determination to do everything by the book and spoutings about the invincibility of the Reich hides a growing fear of a local uprising.